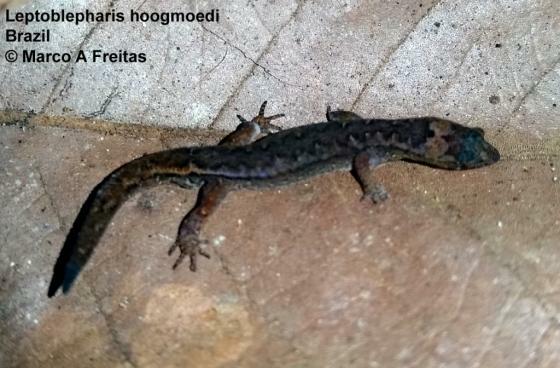 Can you confirm these amateur observations of Lepidoblepharis hoogmoedi? Type locality: W of Benjamin Constant, Amazonas state, Brasil, elevation 50 m.
Etymology The specific epithet is a noun in the genitive case, honoring Dutch herpetologist Marinus Steven Hoogmoed. Marinus was curator of reptiles and amphibians at the National Museum of Natural History (Leiden, The Netherlands) for 38 years (1966–2004) before retiring as research associate at the Museu Paraense Emílio Goeldi in Belém, Brazil, where he is still very active.